Will I Have to Pay Duties and Taxes On My US Purchases? These fees are usually due upon receipt. They are not included with your MyUS shipping charges. We recommend budgeting for duties and taxes ahead of time. As a MyUS member, you won't pay unnecessary shipping, duty and taxes on broken and prohibited merchandise. 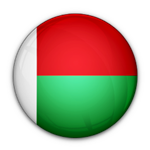 We help you return these items before we ship your package to Madagascar. Whether you choose express or economical shipping, your TruePrice rate is based solely on package weight (whereas competitors pad their charges by basing fees on weight PLUS parcel size). You can schedule deliveries and view your MyUS suite from wherever you are with the MyUS App. Which Items are Banned from Entering Madagascar? With MyUS, you can purchase designer products without worry. If we find pirated and knock-off products, we will help you return them. It's that simple. In just days, you'll have your new US merchandise to enjoy. Why wait any longer? The sooner you join MyUS, the sooner you can enjoy border-free shipping and take advantage of the best shipping rates to MG. Join the hundreds of thousands of members who have counted on us for fast and reliable shipping since 1997. Enjoy shopping at these sites and thousands of others to find all the authentic, brand-name American products you want and need. Then, as a MyUS member, you're able to receive those goods in as little as two business days. We also ship to other MG cities that are not represented above. If you don't see your location, chances are we can still get your package delivered no matter where you live on the island. We've delivered more than 11,000,000 packages to countries around the world, including regularly to Kenya, Somalia, Tanzania, Zimbabwe, Mozambique, Zambia, Botswana and DR Congo. How Much Is Shipping to MDG from the USA? Learn how much you can save on any shipment made with MyUS by using our free shipping calculator located at the top of this page. How Fast Can You Expect to Receive US Merchandise in MDG? MyUS never wants you to wait an extended amount of time to receive your new merchandise. That's why we let you choose how fast you receive your purchases. We offer urgent and express deliveries that can have your packages to you in two to four business days. We also offer more economical shipping options that typically take between five and eight business days for delivery. To help speed up your deliveries, we strive to have your package ready for import within 24 hours after we receive your last purchase. Then our shipping partners pick up their scheduled deliveries right from our facility so your package doesn't sit around. For a full list of forbidden items to import to MG, please visit their customs website. If you purchase a restricted item or even “dangerous goods”, MyUS is one of the only global shipping companies that can complete the necessary actions to ensure safe and legal shipment. Shop confidently knowing our customs staff is here to make shipping to MG simple and fast. Join MyUS today and let us deliver the authentic, brand-name fashions, jewelry, cosmetics and TVs from US-based stores to your door in a fraction of the time - and cost - of conventional methods.